Jean’s brief visit to Spade’s home district, Yakkara, brought no extra screentime for the chief officer we know so little about, but ACCA‘s reluctance to show us more about the man might actually result in some exciting developments. Before we can get to these, we need to take a closer look at our prince’s time in the mining district of Pranetta. 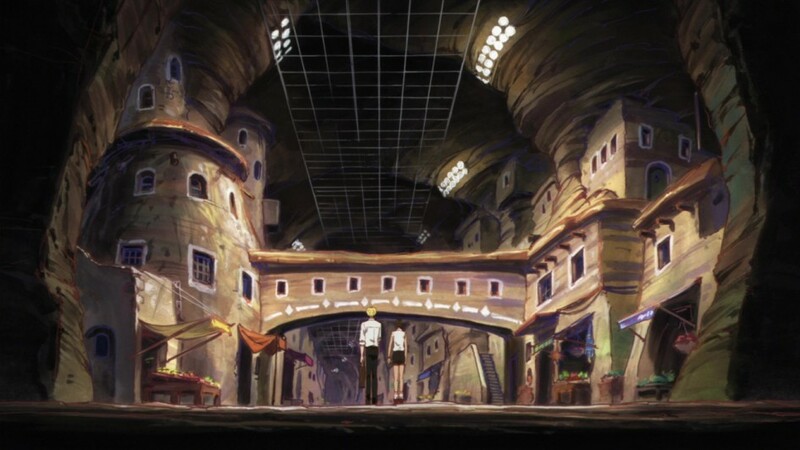 From a design perspective, Pranetta is pure delight – an underground city underneath a barren desert land, where people spend their nights gazing at the stars and their days digging for dreams that might never come true. But as Jean already learned in Yakkara, when you dream, dream big, nicely connecting and contrasting his two inspections in ways I wish we had seen more of before. But while for Yakkara, supporting Jean is like betting on the country’s future, Pranetta’s motivation is more sincere. Check out my full review of ACCA: 13-Territory Inspection Dept., episode 10 over at ANN.